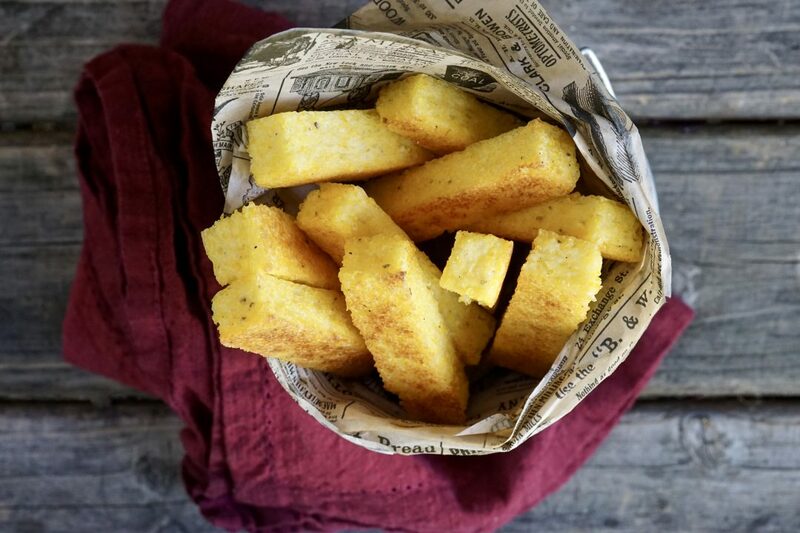 Everyone has their favorite comfort foods, truffle polenta fries are one of mine. Totally serious. I have always been a big fan of polenta; the simple addition of truffle oil is a game-changer. 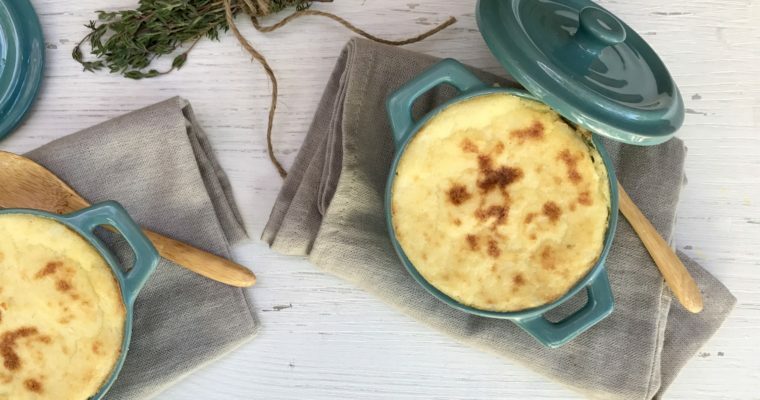 Polenta, served in the form of “fries“, is a fantastic way to incorporate an earthy grain into your winter meal without much effort. 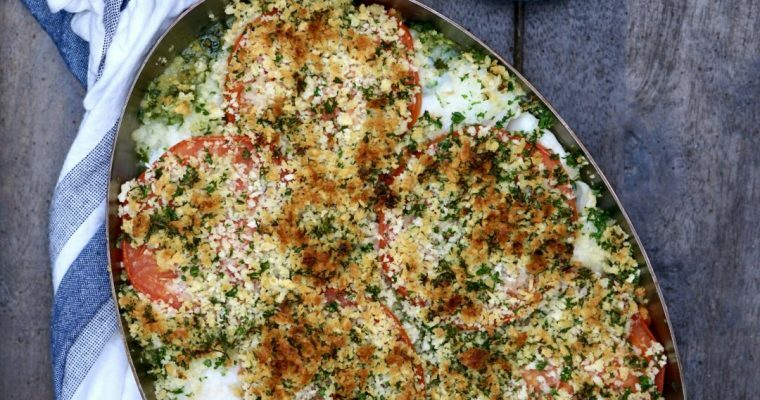 This simple recipe is elegant, and a can truly complement any dish, from meat to fish. 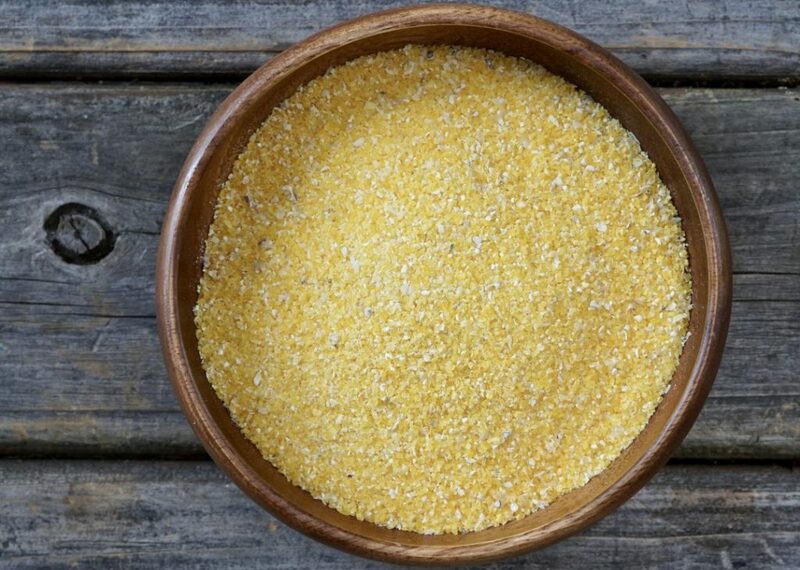 Polenta, for those who are unfamiliar, is a rustic grain made by mixing cornmeal with water and salt. Christopher Columbus is credited with having brought corn over to Europe from America, corn being a plant that Europeans had never seen before. Eventually, it made its way to Southern Italy where it flourished. This inexpensive grain was readily consumed by the lower classes and often eaten in place of bread. Bramata: A classic rustic corn flour that is hard and coarsely ground; this is the most common type, and the one I used in this recipe. Fioretto: Finer than Bramata, smoother and slightly less coarse; this is also a popular choice for making polenta. Fumetto: The finest corn flour available, the best go-to for making fresh pasta, cakes and cookies. Integrale: Less common, a cornmeal that has not been sifted, contains all outer parts of the grain. Truffle oil is a simple pleasure and an easy way to take many dishes up a notch. Considered a finishing oil, this can be made with canola oil, grapeseed oils or more commonly olive oil. Considered controversial among chefs, some truffle oils don’t actually contain truffles–but instead aromatic compounds, meaning that they lack complexity. That may be true, but I think truffle oil has its place in the cooking world. A “truffle aroma” works just fine in this polenta dish, just like it does in my truffled quail eggs. Quality is important in selecting any ingredient. But the “essence” is what we want here. So don’t concern yourself too much with which oil you buy, most black truffle oil will work just fine in this recipe. 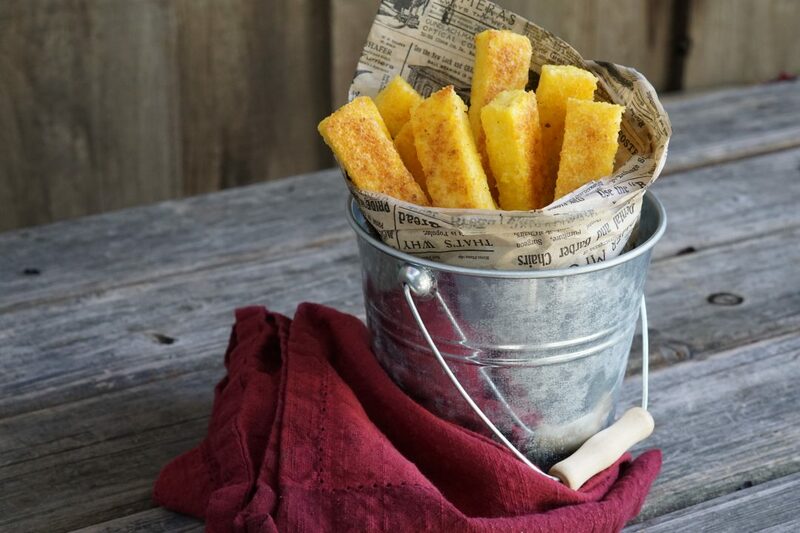 If you’ve never had polenta fries, trust me, they’re worth it. These crispy flavorful “fries” are a delicious comfort food perfect for the winter and a true crowd pleaser with just about anyone young or old. Step 1 Lightly oil a 13×9-inch baking pan and set aside. Step 2 In a medium saucepot add the water, polenta and salt. Place over high heat and bring to a boil while whisking. Reduce the heat to medium-low and cook, whisking frequently, until the polenta thickens and begins to pull away from the side of the saucepot, about 15 minutes. Remove from the heat and stir in the pepper, butter, truffle oil and Parmesan cheese. Adjust the seasoning as needed. Step 3 Transfer the polenta to the prepared baking pan. Using a rubber tipped spatula, spread the polenta out evenly. Step 4 Lightly oil a 13×9-inch piece of parchment paper and place oil-side down directly onto the polenta. Refrigerate for about 45 minutes to set. Step 5 Preheat the oven to 450 degrees F. Lightly oil a baking sheet with olive oil and set aside. Step 6 Rotate the baking pan horizontally and cut the polenta in half across. Working vertically, make 16 cut across the polenta. Leaving you with 32 polenta fries. Carefully remove the polenta fries from the baking pan and place on the oiled baking sheet, about 1/2-inch apart. Step 7 Using a pastry brush, brush the tops of the polenta fries with oil. Place in the oven about 4-inches from the and bake and good until golden, about 20 minutes.